Have you ever wondered, if your cellphone can live for three days on a charge, why they can’t strap one of those batteries’ bigger brothers to your car or motorcycle? 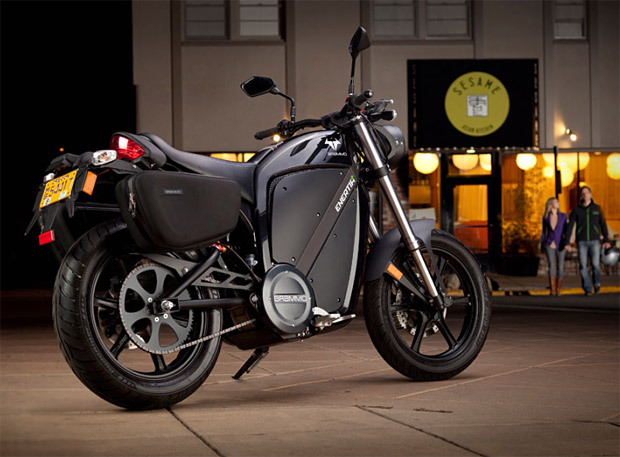 Combining the style of Milan with the engineering prowess of Portland, Ore., the 2011 Brammo Enertia Plus ($8,995) does just that. The Enertia is the coolest way to ride to the office without contributing to the asphyxiation of the atmosphere. This zero emission electric hog is powered by a lithium-ion battery delivering an 80-mile range between charges, plugs into household sockets and goes up to 65 mph. The preordering has begun.